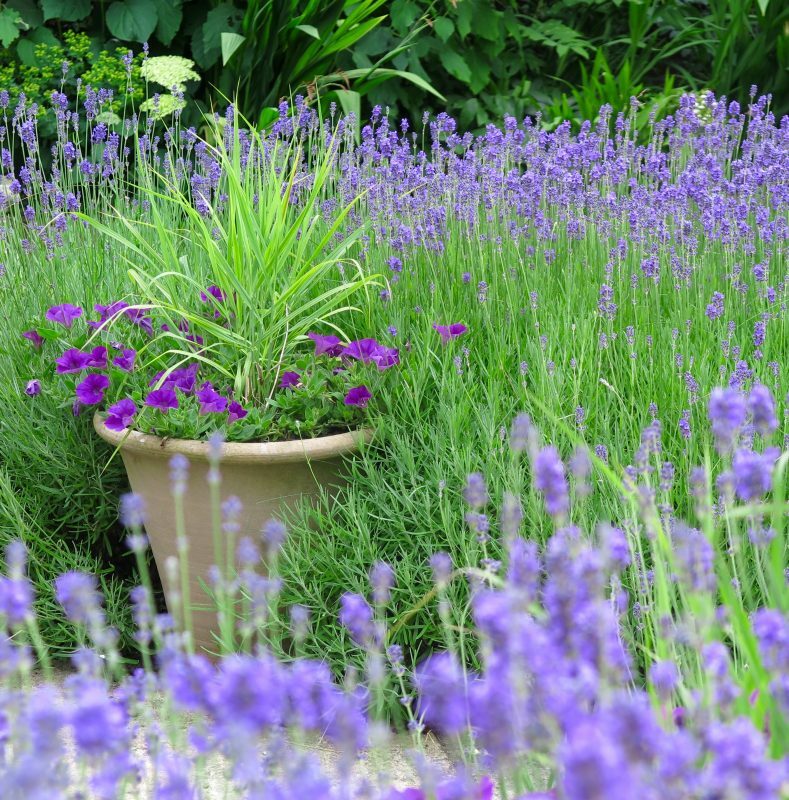 It’s time to start writing down your plant ideas. 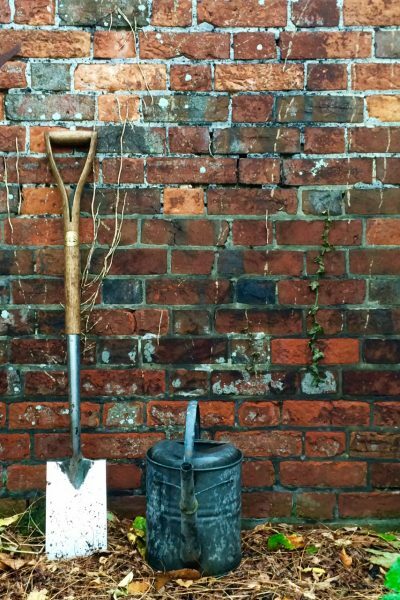 As the summer ends, make a note of things you’ve loved in your garden and other people’s. Use your notes and pictures to steer you through the autumn seed and bulb catalogues. I find that scrolling through the photos on my phone is a good way to remind myself of gardening details. 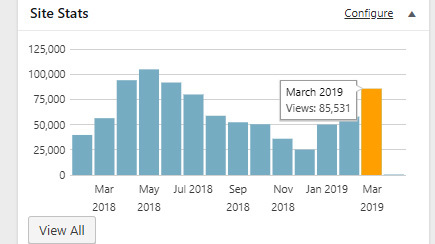 All my pro gardening friends tell me that keeping a record is the best way to make sure your garden looks its best next year. These are some of my favourite plant ideas and combinations from 2016. This shot at Heale Gardens in Wiltshire is one of my favourite combinations of 2016. Stipa and lavender. Beautiful! Panicum ‘Shenandoah’ with petunias in a pot in my garden. Grasses have been big for many years now. Designers are beginning to turn back to shrubs again. 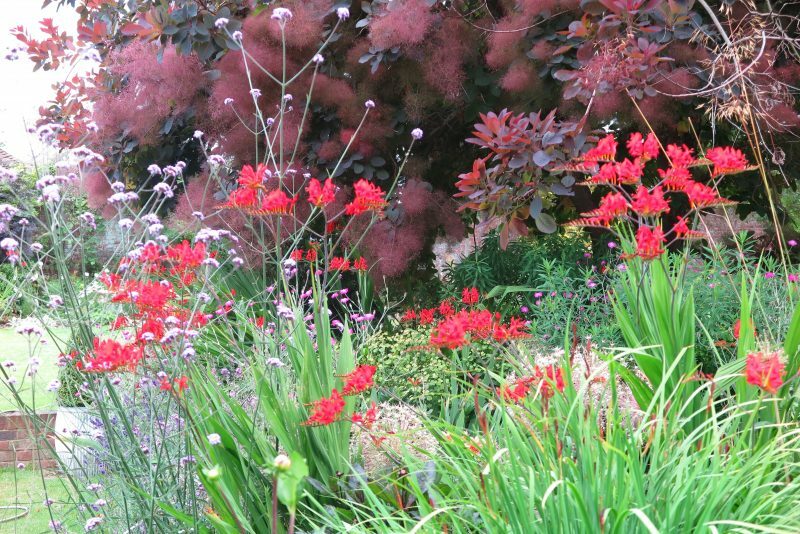 But grasses are a valuable part of the planting palette. 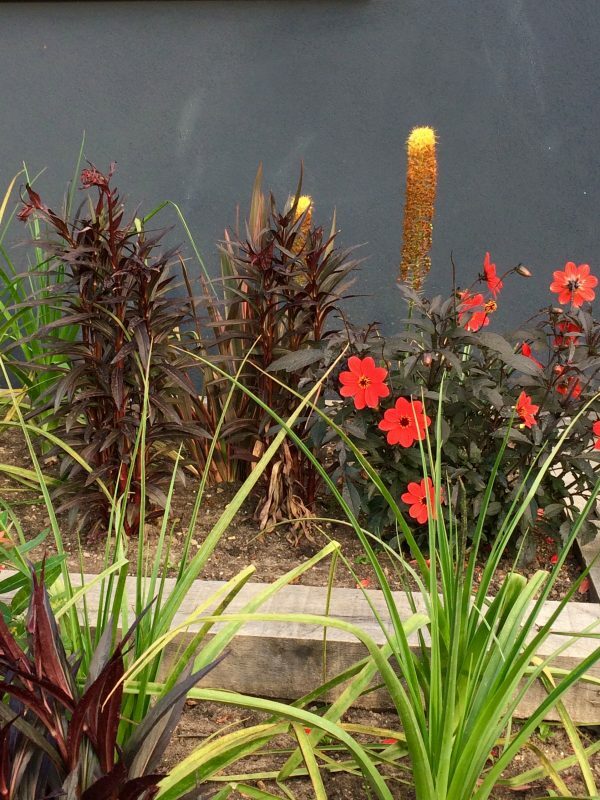 In these pictures, they provide sculptural shape for the mid to late summer garden. They work well in pots, too. I particularly loved the use of grasses at Heale Gardens in Wiltshire. 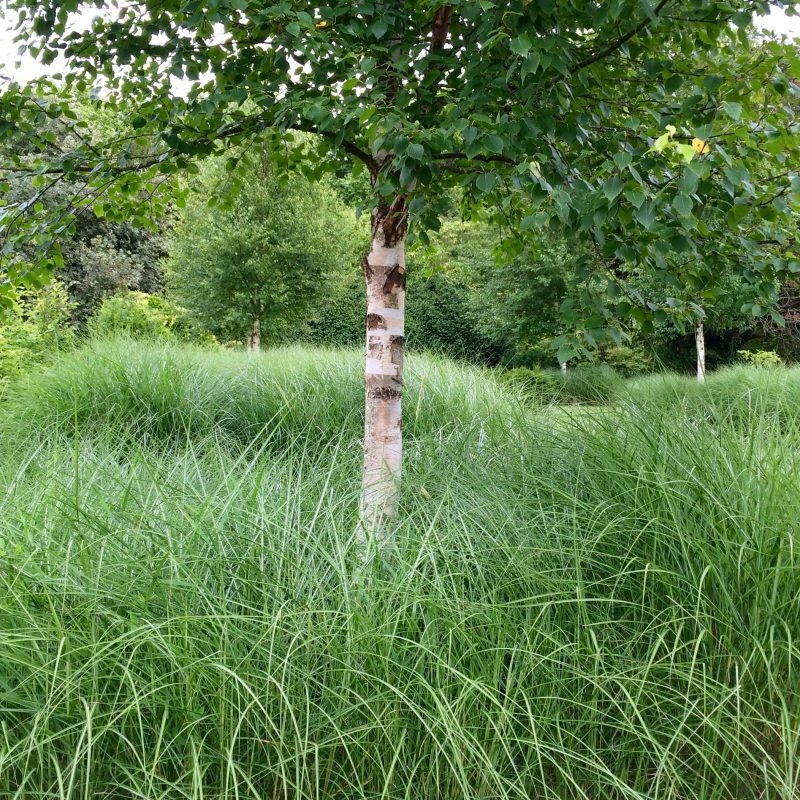 Silver birch surrounded by a ‘box’ of grasses at Heale Gardens. In the pictures above and below, grasses have been used in quite a formal way. 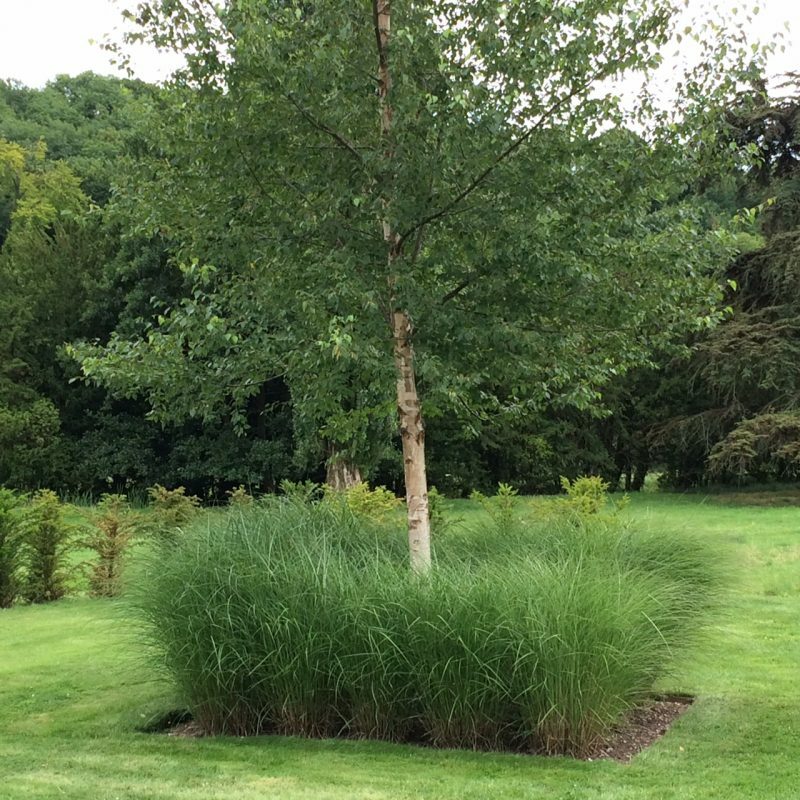 Instead of clipped box around the tree, there are waving grasses, set in a neat square. The same silver birch. You can see the grass ‘box’ around it. 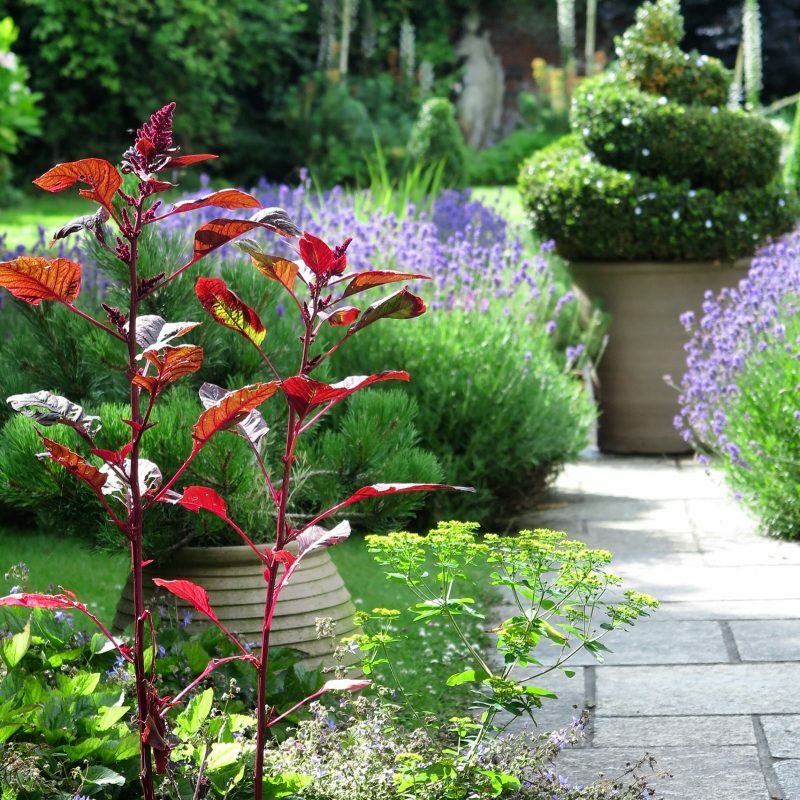 Some of the most inspiring plant ideas I’ve seen this year have been in front gardens. The owners have used the background of the house as part of the garden colour palette. 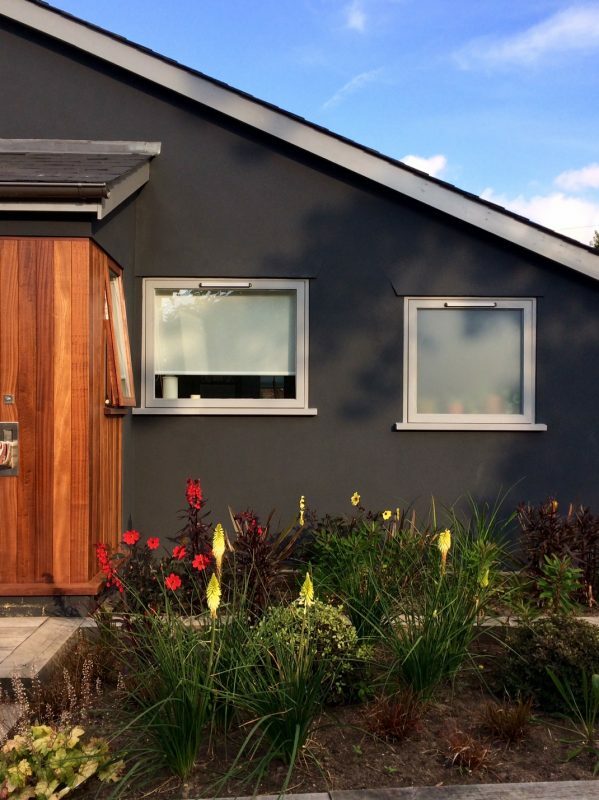 This front garden in Whitstable showcases bright colours against a dark wall. Closer up. I really love the use of plant colour against the grey. More traditional but still gorgeous. 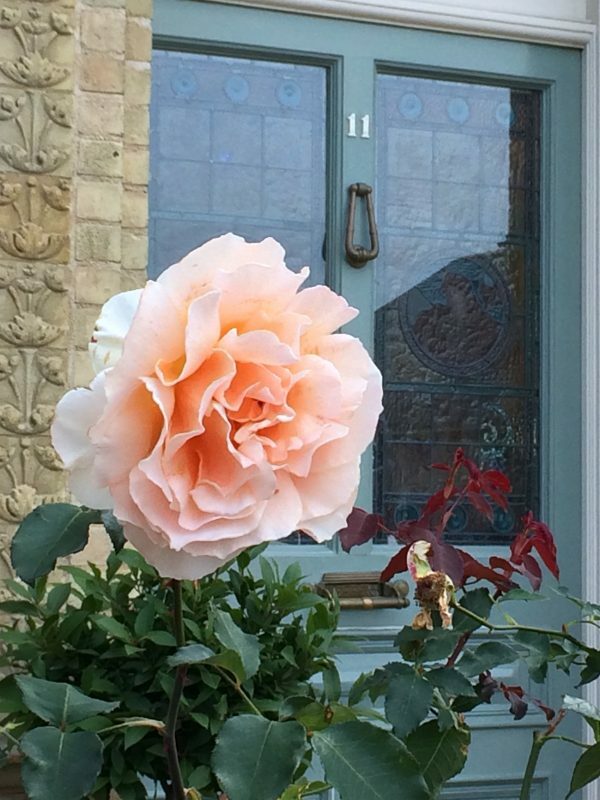 A peach standard rose against a blue door. 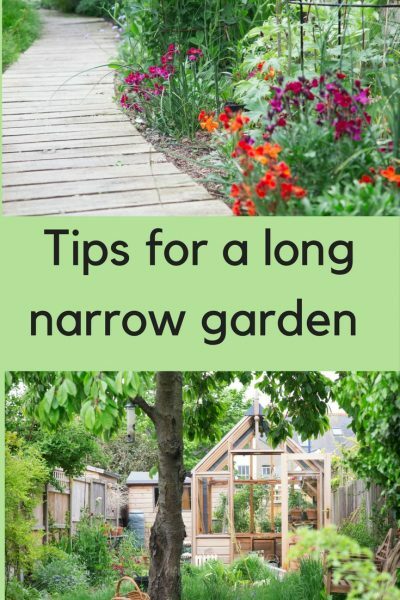 If you’re limited in how much space you have to grow from seed, then grow just one or two really striking plants to pop in the gaps. This year I grew red amaranth (love-lies-bleeding) and Cleome ‘Violet Queen’. 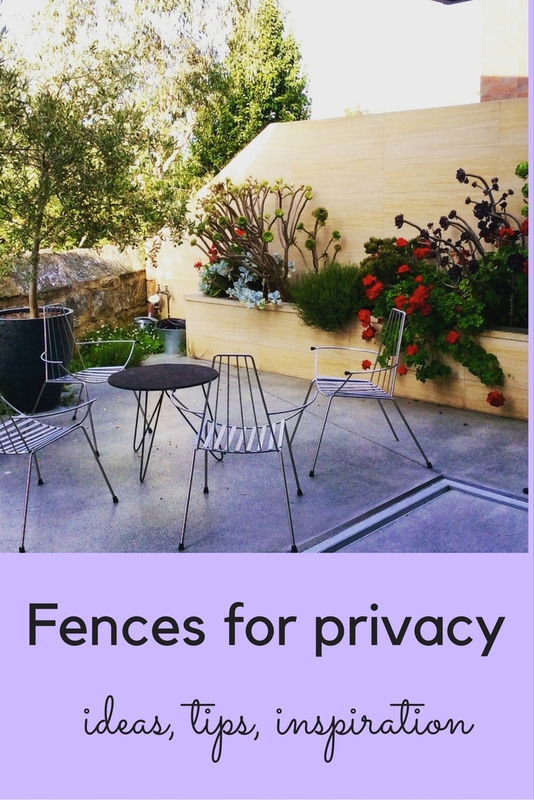 They have both added a punch to the garden for a total outlay of less than £5. I love the way the light falls on this red amaranth. It was easy to grow from seed. 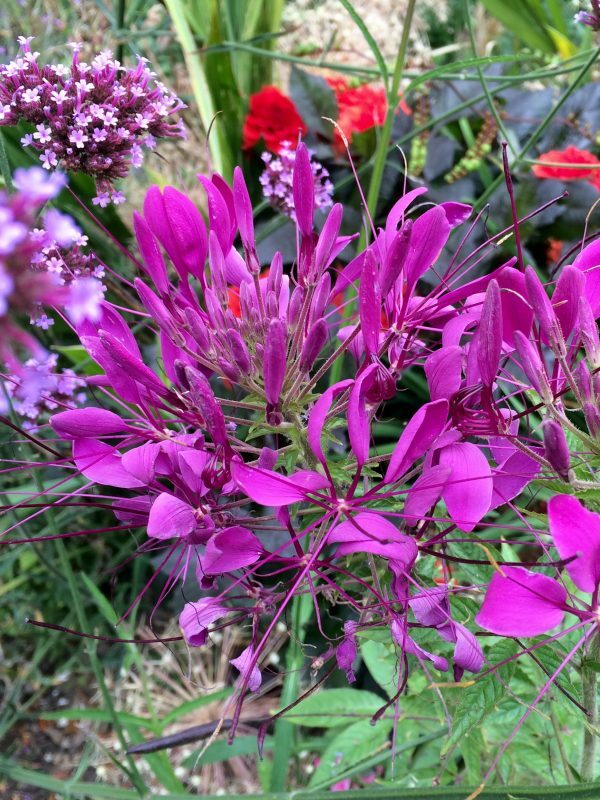 Very well named – Cleome ‘Violet Queen’. 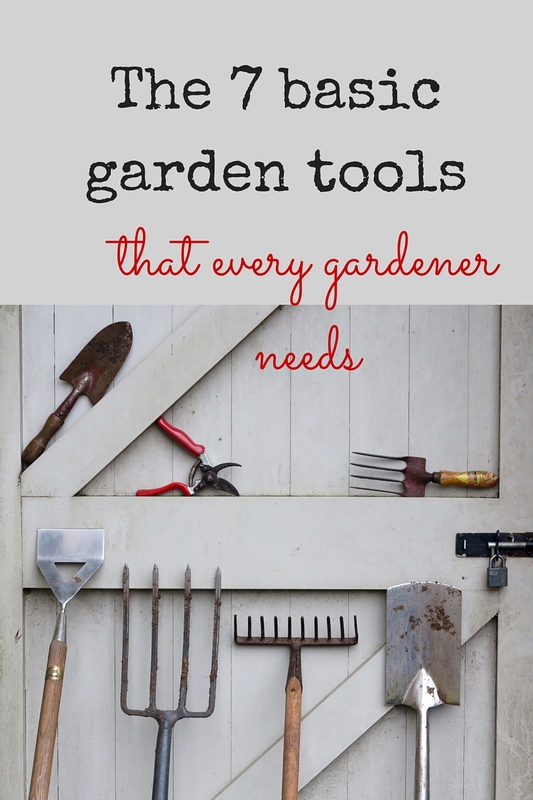 If you have neglected corners of the garden, fill them with self-seeders and spreaders. I’ve been given a few scraps of Phlomis russeliana by a friend and it has clumped up beautifully within one season. Sisyrinchium and crocosmia ‘Lucifer’ fill ups the gaps in my garden without any help from me. 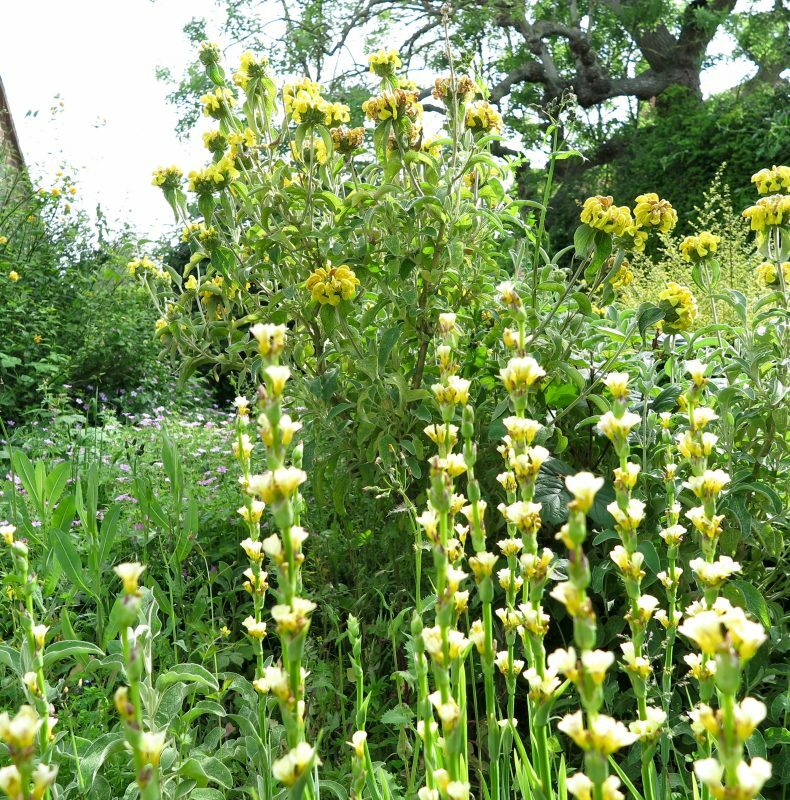 Sisyrinchium and phlomis russeliana brighten a dark corner of a garden. This is a corner of Tom Croft’s garden. It’s being renovated gently and slowly, so self-seeders and spreaders are allowed to take over the wilder areas. See here for more about how this garden is being restored. Cotinus coggyria ‘Grace’ with self-seeded crocosmia ‘Lucifer’ in my garden. 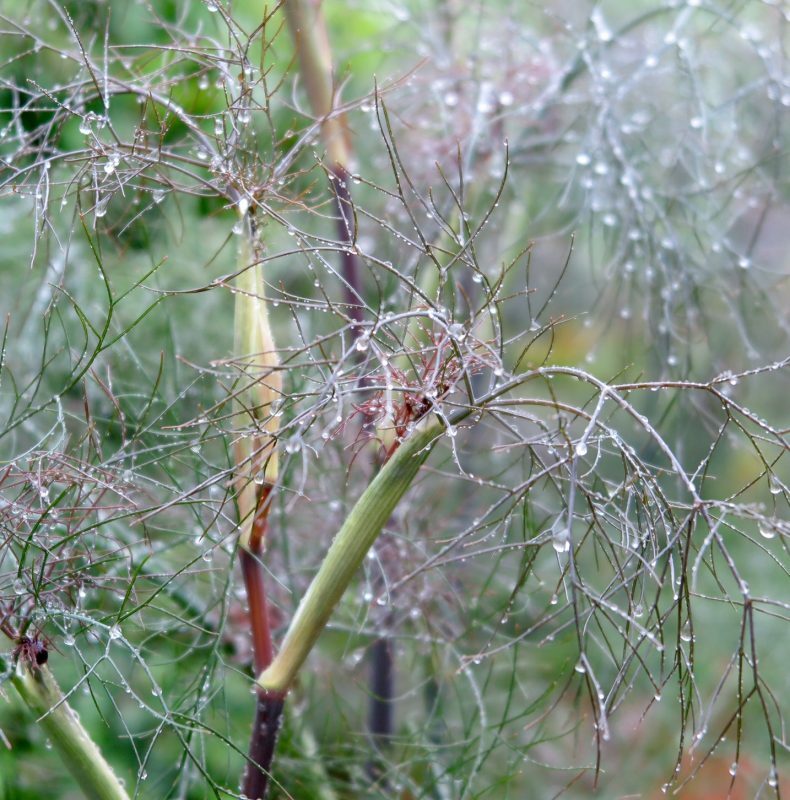 Many gardeners find fennel too invasive, but it has a wonderful structure and texture. I photographed this at Parham Gardens in Sussex. 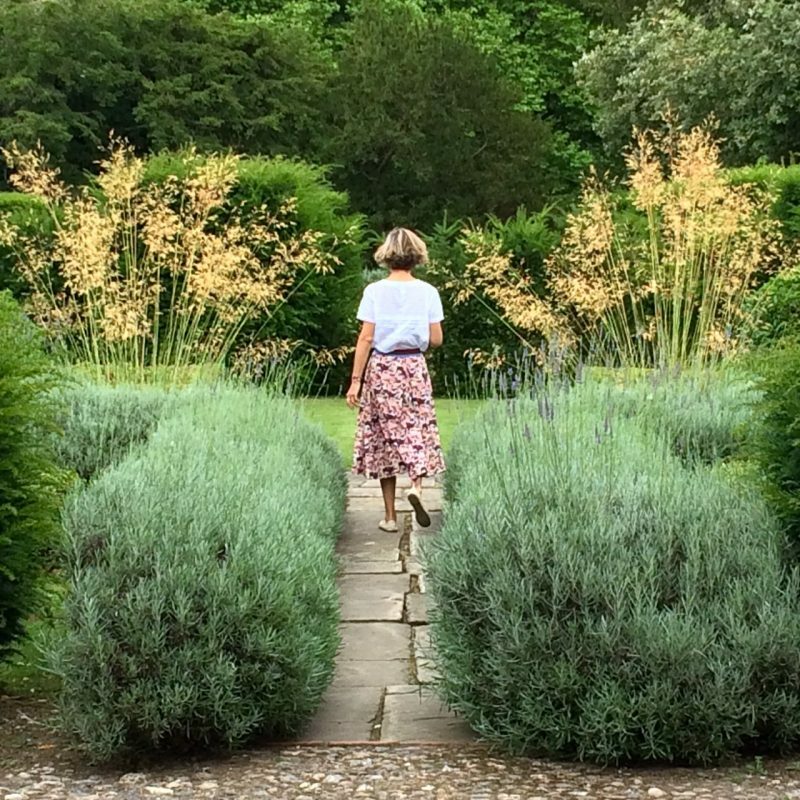 See here for more about the beautiful gardens at Parham. I’ve seen some wonderful vegetables in containers this year. 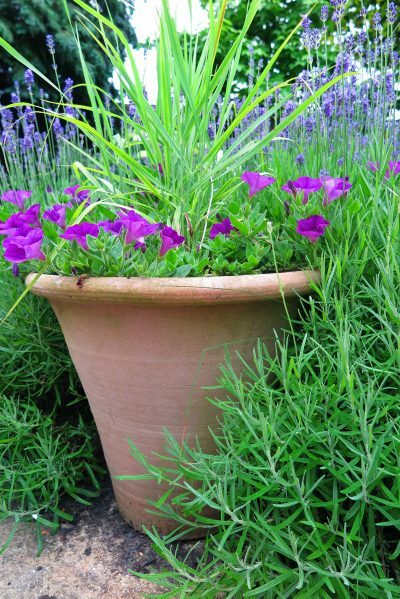 Gardening writer Francine Raymond does wonderful pots. 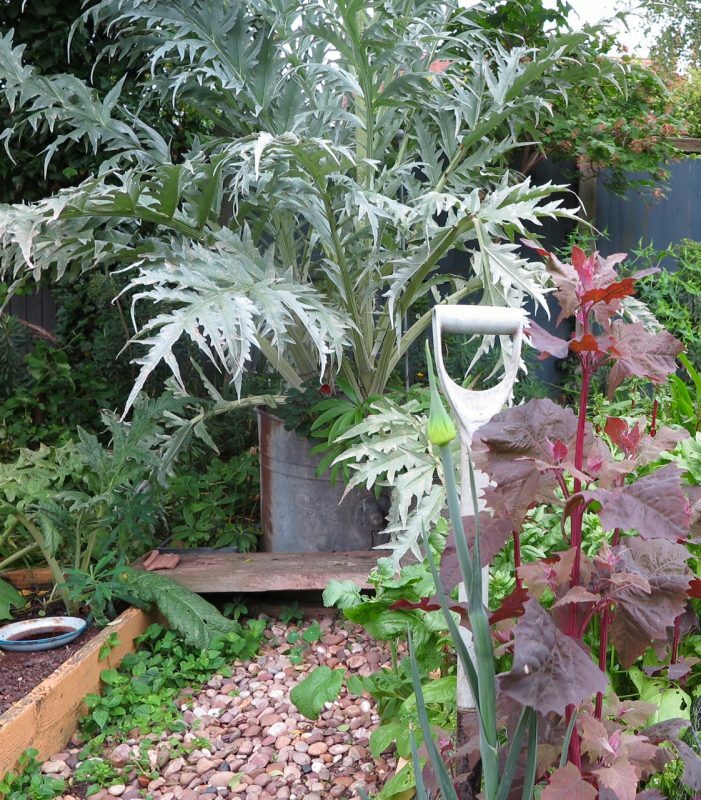 Here she has a cardoon in an old galvanised industrial container. 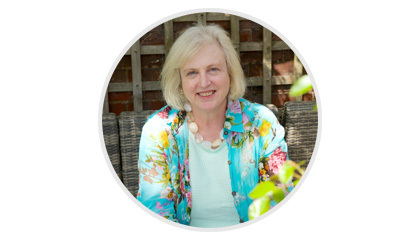 Francine’s veg garden is in a mix of cattle feeding troughs, industrial salvage and raised beds. I passed this outside a restaurant in Granary Square, Kings Cross. It’s part of an initiative called The Skip Garden. 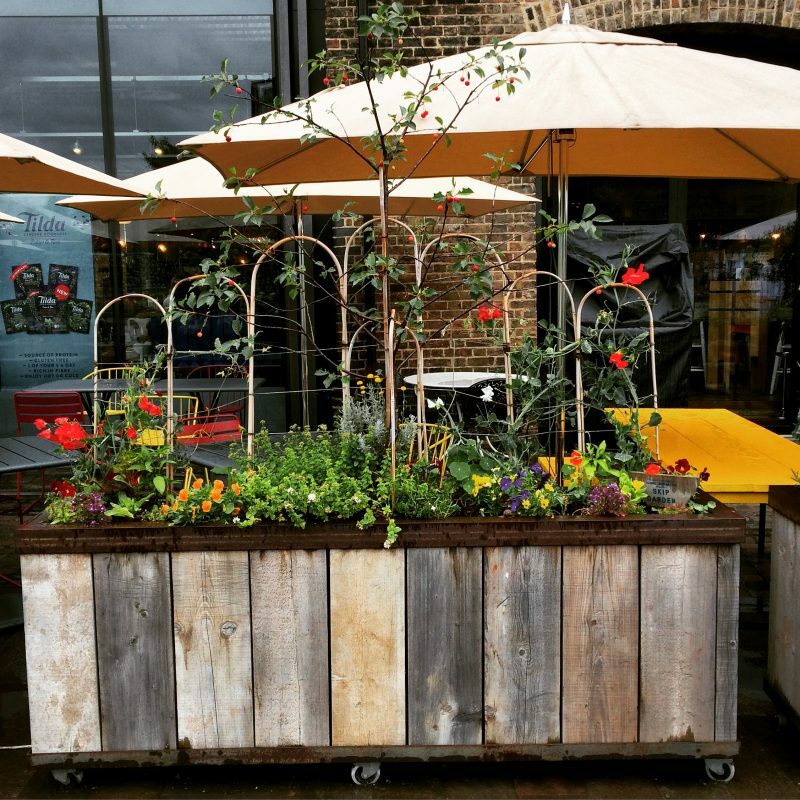 It’s a whole vegetable garden in a container made of recycled scaffolding boards. And it’s on wheels. 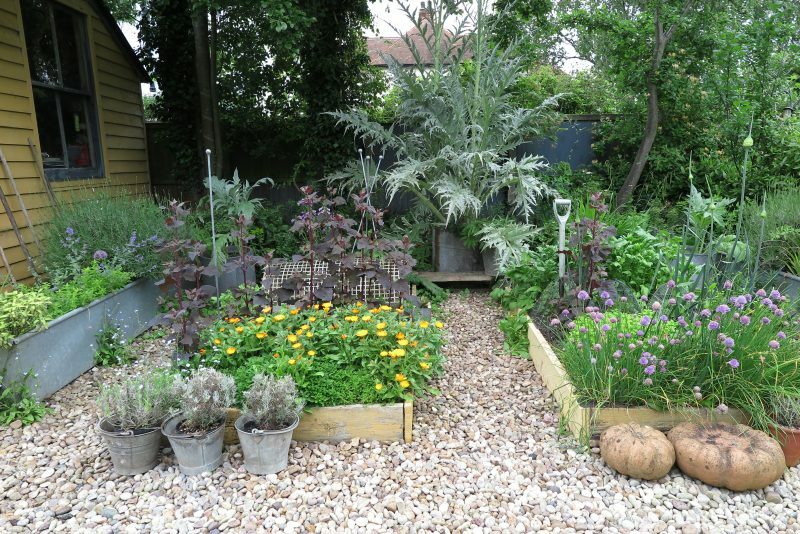 For more about the Skip Garden, read the Doddington Place Gardens post here. When I spotted some candy-pink echinacea at the Madrona Nursery, I thought they might be just too much. But they’ve attracted so many compliments and have added zing to the garden for months on end. Echinacea ‘Southern Belle’ from Madrona Nurseries. 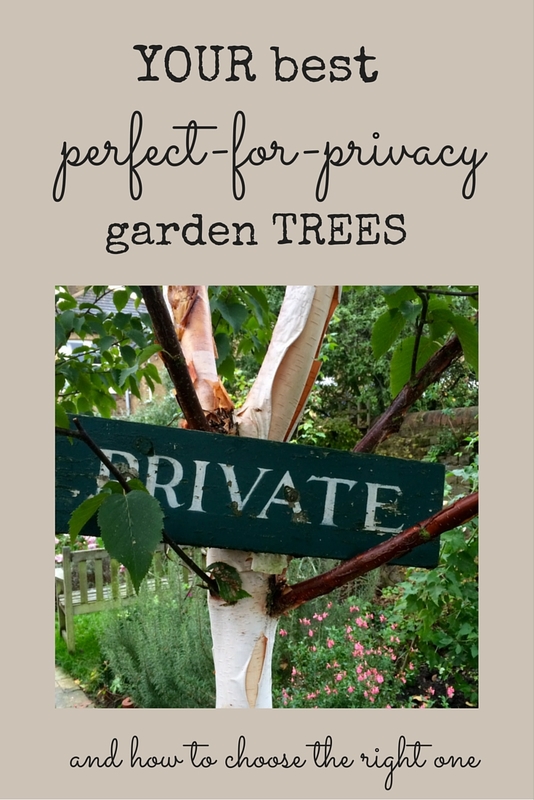 7 comments on "10 inspiring plant ideas for a successful garden"
beautiful photos. 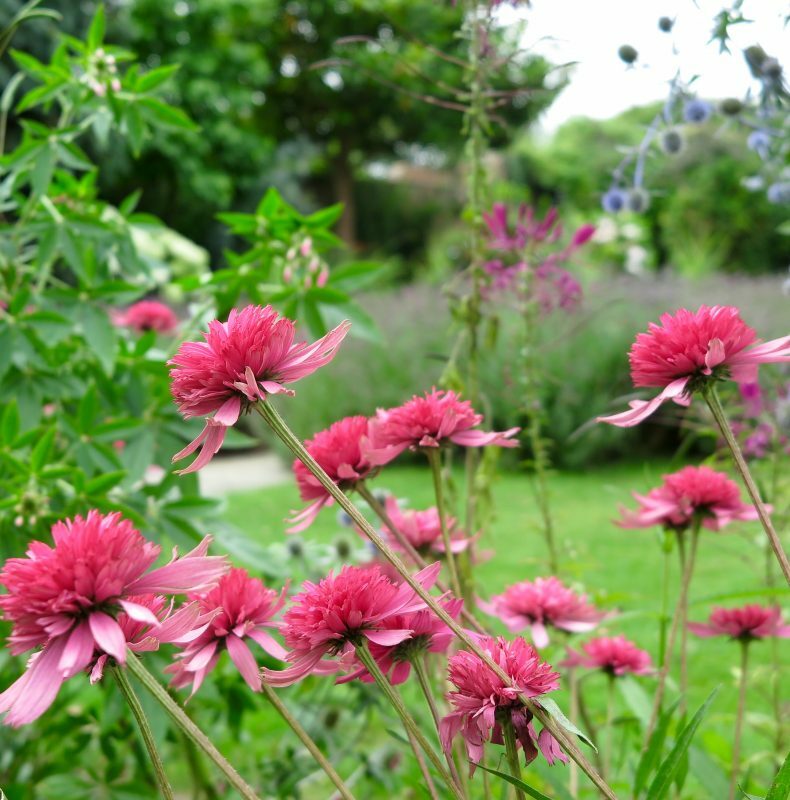 the candy-pink echinacea is very beautiful. perfect for my garden. thanks. The grasses looking stunning – I love the soft floaty movement they give to the garden. they look stunning and I’d love some in my garden but I’m trying to stick to single- leaved flowers which are better for all the pollinators. do these get visited by bees etc.? I try to use pollinator-friendly flowers too, and all the flowers in the post are visited by bees and hoverflies except perhaps the Echninacea Southern Belle – I don’t think I’ve seen much action on those. The Cleome ‘Violet Queen’ is great for bees and pollinators and apparently also for bats!